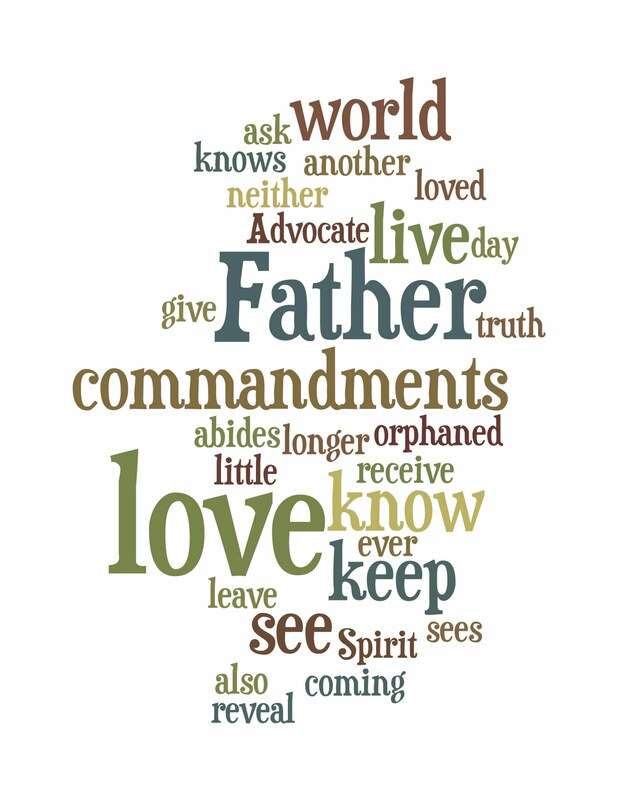 Hi folks, here's the wordle of this wek's Gospel reading from John 14.15-21 which you can read by clicking here. Jesus is going away, but assures us of the presence of God in and with us - the Holy Spirit of God Himself. The power of God in creating is offered to us. That same power at work in an amongst us creating in us eternal (resurrection) life. 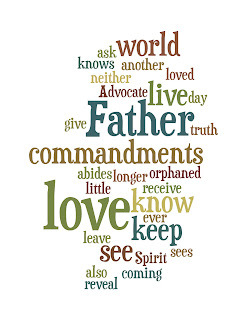 That same Creator Holy Spirit is not on offer to 'the world' to all and sundry who do not know God and His hopes and dreams for His creation, but to those who seek to orient their lives into the ways of God, guided by His grace.